A glass half empty or a glass half full, what do you see? On 25 and 26 May, over 250 students, faculty and business leaders came together at the Hyatt Regency in Bishkek for the 2014 Enactus Kyrgyzstan National Competition. Generously sponsored by Kumtor Gold Company, Bistro Bar & Grill, Tokyo (tech-house), Cinematica, Club Hotel, and Dilden, the event saw eight universities present their entrepreneurial initiatives to 35 executives serving as judges. 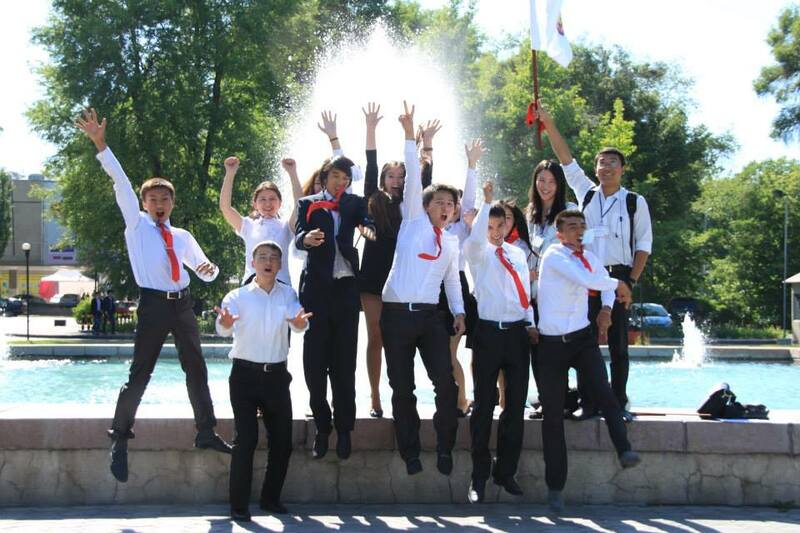 After two rounds of competition, the judges named Kyrgyz-Russian Slavic University the 2014 National Champion. Judges were impressed with the team’s outreach work, including Kinder Club where the students addressed two needs with one project: creating an opportunity for unemployed women to make a living and providing much needed preschool services for the children of Bishkek. Eight women participated in the customized training program, which focused on business training specific to working in the early childhood education field. As a result, two Kinder Club facilities were opened, which not only provided an income for the women but also allowed the parents of local children to go to work, knowing their children were in a safe and informative environment. To facilitate connections between top talent in the Kyrgyzstan network and the sponsor companies in attendance, the national office team invited interested students to submit their resumes in advance for distribution to the companies with internship and full-time openings. Students could then follow up in person at the event, leveraging various networking opportunities throughout the competition. More than 40 students took advantage of this unique spin on a traditional career fair. Students and other attendees were treated to two engaging keynote addresses: the first was from Andrew B. Wachtel, President of American University of Central Asia, who spoke about the role the Enactus program can play in the development of the country. Day two saw Pamela L. Spratlen, Ambassador Extraordinary and Plenipotentiary of the United States of America to the Kyrgyz Republic, address the delegates where she shared her impressions of the Enactus program, the talented students involved, and their potentional to take the country to new heights. Numerous media outlets covered the competition, including this write up and picture gallery. It’s not every day that talented students, supportive faculty, and experienced executives come together at one event… unless, of course, you are a part of the Enactus network. The Kyrgyzstan competition is only the seventh of our 36 national competitions leading to the Enactus World Cup in Beijing, and it just keeps getting better and better.